The Hardys’ friend Chet answers an ad in the paper for a role in a student film. There’s just one catch: All participants must have a boat, so Chet persuades Frank and Joe to get their motorboat, the Sleuth, out of mothballs. He even convinces the brothers to join him. The aquatic extravaganza will be shot locally on Barmet Bay and will be totally improvised. The director promises clues, cryptic charts, and plot twists. Soon the Hardys and the other actors are chasing one another at high speed across the bay, running afoul of the harbor patrol. But the moviemakers aren’t the only ones providing the drama. A yacht belonging to a financial whiz is adrift in the bay, and a mysterious figure is haunting the marina. 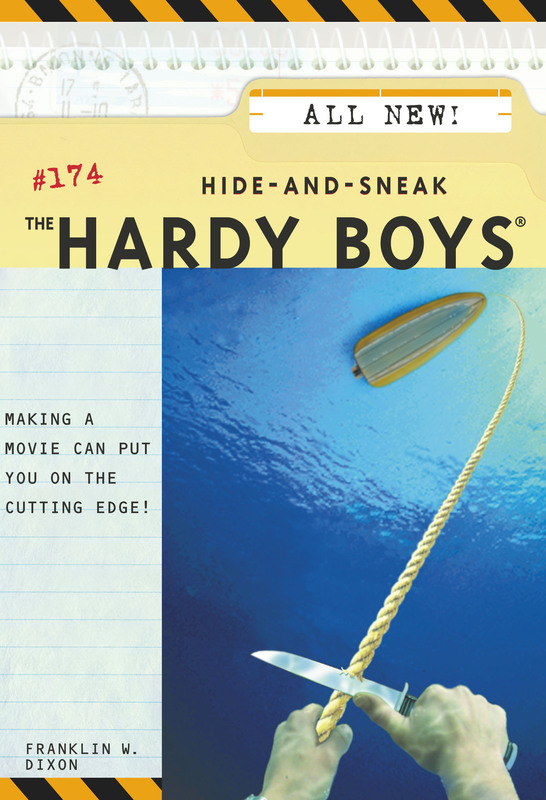 The Hardys and Chet are steering a collision course with danger, and they may find themselves aground—permanently!